Forum Index > Off-topic Talk > polarbearforge's valsgarde helmet kit? 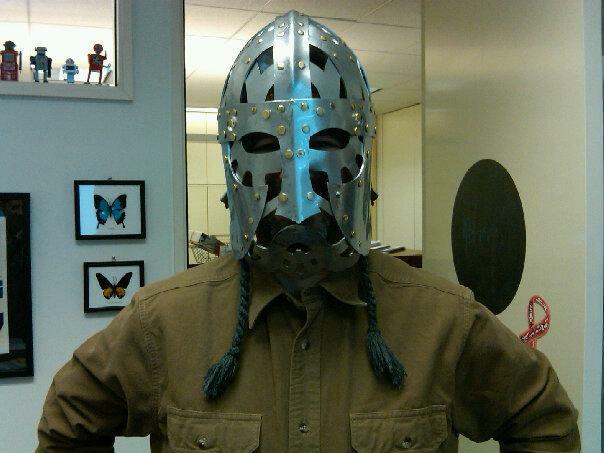 Posted: Thu 11 Apr, 2013 5:34 pm Post subject: polarbearforge's valsgarde helmet kit? Has anyone got any pictures of what a finished result looks like, and information about this business. Seems their site hasn't been updated in a while. It's only like the historical helmet in the general style of the top. Otherwise it's made for rattan combat and is meant to protect the entire head effectively - the original would not have.